A post-Christmas and New Year smorgasbord of awesome has come flooding in, these past couple of weeks. On top of that, there have been some I’ve bought myself (I got a lot of wonderful book vouchers and Amazon credit, this year…). IN SPACE, EVERY. SECOND. COUNTS. Our planet is in ruins. Three hundred miles above its scarred surface orbits Outer Earth: a space station with a million souls on board. They are all that remain of the human race. Darnell is the head of the station’s biotech lab. He’s also a man with dark secrets. And he has ambitions for Outer Earth that no one will see coming. Prakesh is a scientist, and he has no idea what his boss Darnell is capable of. He’ll have to move fast if he doesn’t want to end up dead. And then there’s Riley. She’s a tracer — a courier. For her, speed is everything. But with her latest cargo, she’s taken on more than she bargained for. A chilling conspiracy connects them all. The countdown has begun for Outer Earth — and for mankind. Let’s start with an introduction: Who is Rob Boffard? 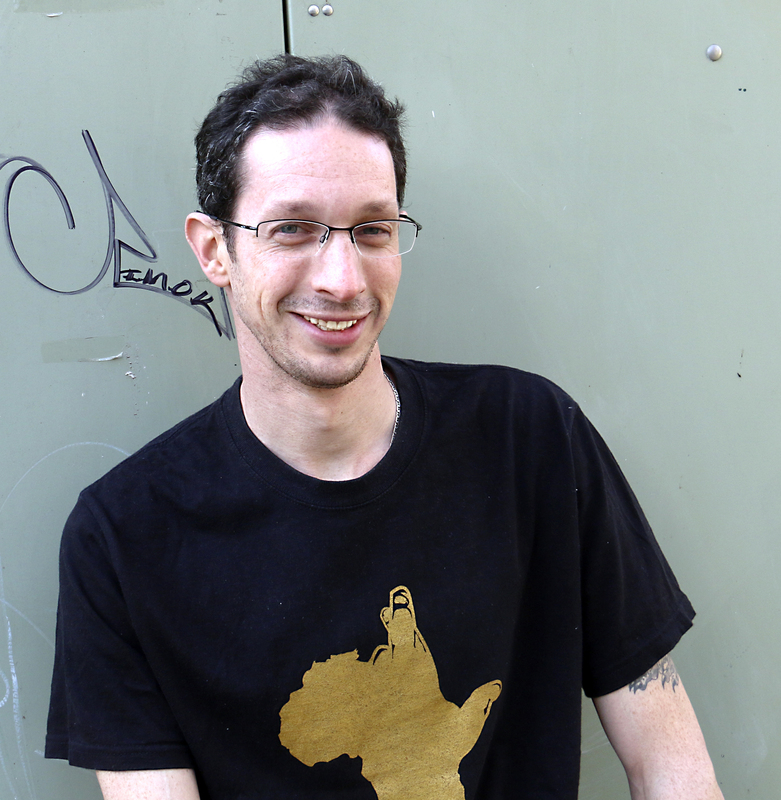 A funny-looking South African with freakishly long arms, lots of tattoos, a really weird accent, and bad hair. I spent a decade as a journalist being paid specifically to not make stuff up, and now I’m getting paid to do the exact opposite. 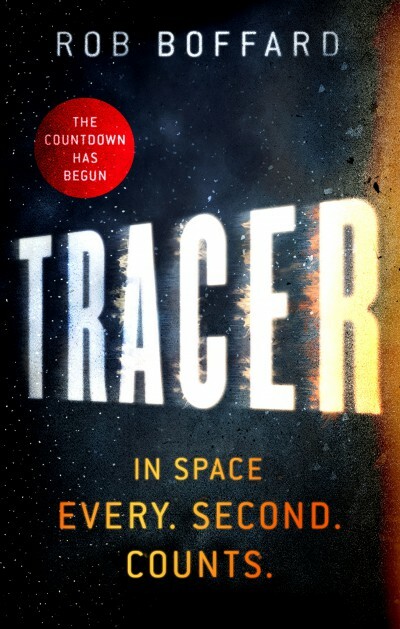 Your debut novel, Tracer, will be published by Orbit Books in July 2015. How would you introduce the novel to a potential reader? Is it part of a planned series? Tracer is about a courier on a city-sized space station. Her name is Riley, she loves going as fast as humanly possible, and she makes a point of never asking what she carries. Of course, when she accidentally finds out what’s in one particular shipment, things go very wrong, very fast. I seem to be on an unusual sci-fi purchasing kick at the moment. Or, if not actively purchasing/pre-ordering sci-fi novels, I’m filing them away on my To Buy list, or on my Amazon wishlist. Today, I purchased Becky Chambers’s The Long Way to a Small, Angry Planet — which was recently published by Hodder. This is a little bit strange, because I don’t really read much sci-fi. Sure, I read almost everything set in Black Library’s Horus Heresy series (which is becoming a tad drawn-out), and I used to read every Star Wars novel I could get my hands on (as long as it was set after New Hope). But, over the past couple of years, I’ve cooled on SW novels (mainly because I haven’t really liked any that I’ve tried to read over the past couple of years). This has left a rather gaping SF hole on my shelves. Save for a mere handful of SF novels by Richard Morgan, Rachel Aaron, and … well, actually I think that’s about it… I just don’t read much SF. I read the first book in James S.A. Corey’s Expanse series, Leviathan Wakes (Orbit), which was pretty good. So, maybe I have a few months of (uncharacteristic) sci-fi reading coming up?